Experience all the natural beauty of June Lake and save thousands off a luxurious vacation home when you purchase a Heidelberg Inn timeshare resale. 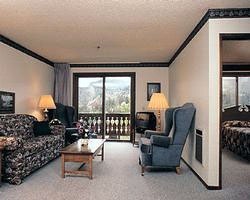 SellMyTimeshareNow.com has a vast number of timeshare resales in our inventory at the market’s best prices. What’s My Heidelberg Inn Timeshare Worth? When you travel out to the Heidelberg Inn, you’re vacationing like a movie star. Clark Gable, Betty Grable, and Charlie Chaplin have all spent time vacationing at the resort. In the lobby, photos hang on the walls of the old days as well as the famous four-sided stone fireplace with the signature eight-foot California Grizzly Bear. It’s truly a world-class experience, and through SellMyTimeshareNow.com, you can acquire accommodations at affordable rates. The beautiful Heidelberg Inn June Lake boasts beautiful Bavarian-inspired architecture reminiscent of the old-world. 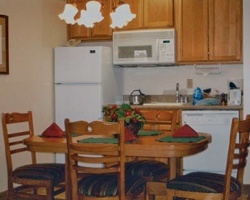 The resort offers one- and two-bedroom options with amenities such as a full kitchen, spacious living room, dining room, and more. No dream California vacation would be complete without the breathtaking views of the picturesque June Lake. If you're ready to secure your dream accommodations at this resort, you can get started today. Fill out the form on the right to learn more about becoming an owner at the Heidelberg Inn, or call a timeshare resale specialist at 1-877-815-4227. Purchasing a timeshare at the June Lake Heidelberg Inn can guarantee you unprecedented accommodations year after year with special owner benefits at unbelievable rates. By purchasing your accommodations on the secondary market, you can save up to 70% off your ownership purchase. Since resales are advertised by the current owners, and not by the resort itself, you'll have the opportunity to save thousands on the same amazing vacation solutions at Heidelberg Inn June Lake CA by avoiding the typical added developer markups. You'll find ownership options at the resort come in the form of deeded fixed and floating weeks. Fixed weeks give you access to your accommodations during the same week each year, offering more secure, reliable vacation options. Floating weeks, on the other hand, offer more fluidity and allowing you to travel at different times during the year. Regardless of your schedule permittance, you’ll own guaranteed accommodations for amazing vacations each and every year. 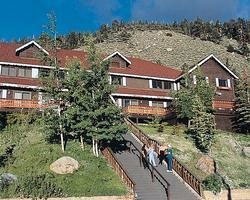 Heidelberg Inn June Lake is affiliated with Vacation Resorts International. 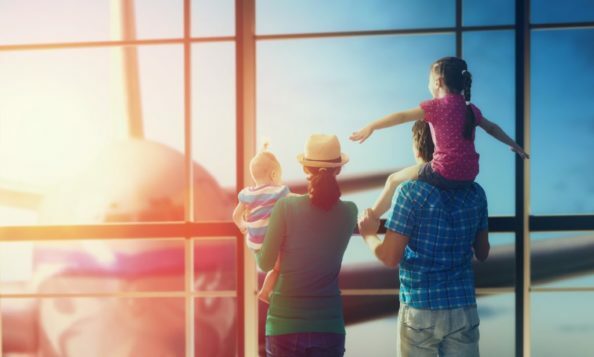 VRI has a reputation for family-friendly, high-end resorts in its catalog and offers a multitude of travel options around the United States and Mexico. You can participate in VRI’s internal exchange program simply by depositing your timeshare accommodations, a cost which will afford you access to endless vacation options at a number of available resorts in VRI’s catalog. Learn more about the VRI owner benefits you’ll receive when you purchase a timeshare resale at the Heidelberg Inn. Unlock virtually limitless vacation opportunities by purchasing a membership to either of the two timeshare resale exchange companies affiliated with the Heidelberg Inn. RCI and Interval International are the two largest companies in their field, offering thousands of luxurious resorts in cities all over the world. Once you purchase a membership, for an additional annual fee, you’ll be able to deposit your accommodations into the exchange pool for the opportunity to swap stays with resorts with comparable ratings to your home resort. Heidelberg Inn boasts an RCI Silver Crown rating and an Interval International Affiliated Resort rating providing you with a vast array of vacation options. The resort offers numerous amenities to enhance your vacation experience. 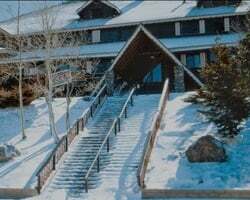 Heidelberg Inn offers daily activities, DVD rentals, games at the front desk, a game room featuring a pool table and a ping pong table, outdoor hot tubs, a sauna, barbecue pit, free laundry facilities and much more. June Lake is an unbelievable place to fish, and Heidelberg Inn offers a fish cleaning area for owners looking to cook up a good meal after their expedition. The area also features some incredible mountains for skiing as well as boating and fishing in the Gull Lake. Enjoy a number of nearby restaurants, spa services, horseback riding, golfing, and more. Aspiring photographers won’t want to miss the amazing picture opportunities at nearby attractions such as Mammoth, Bodie, Mono Lake, Yosemite Park, and the hot springs. All of which are within a short drive of the resort area. Already Own at Heidelberg Inn?